Shaping Aberdeen – City Centre Masterplan | Angela Scott – Chief Executive, Aberdeen City Council. 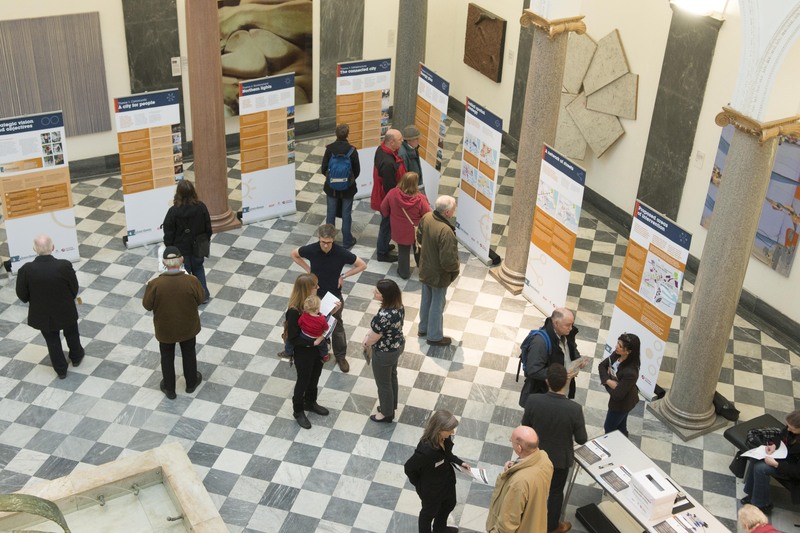 The latest phase of the consultation process relating to the development of a new city centre masterplan for Aberdeen reached another milestone at the weekend just gone with over 550 people visiting the two-day exhibition at Aberdeen Art Gallery to view the progress being made on the proposed vision for the next 25 years. With more than 1,000 people having visited the earlier display in September and the number of online ( http://goo.gl/Jm0XBc ) participants in the process continuing to grow, it is really encouraging to see so many taking the opportunity to involve themselves in shaping Aberdeen’s future. The views and comments shared during the process will help inform the decisions taken on the project and with the consultation exhibition now at Marischal College until Friday 5th December, I encourage everyone who can to get involved and share their thoughts on how Aberdeen should respond to the employment, housing, sustainability, transport and business challenges and opportunities facing it. Working with our team of international master planning experts, the aim is to deliver a city centre befitting Europe’s energy capital for this and future generations. We should all share in such an exciting opportunity to drive the process forward and help shape the city for the future.